Complete the 2018/2019 GOOFY Running Club Registration Here! GOOFY Run Club is designed for all children of all fitness levels and is a community group that welcomes students from all schools. Our purpose is to build an appreciation for run and foster life-long habits that build physical activity into every day. Our curriculum is designed to drive improvement in both speed and endurance. Many people participate to increase their ability in other sports. Due to construction in the GOMM spark park, the fall semester will focus on speed and strength building. Our monthly family runs will emphasize endurance. Students will be broken up into age groups based on enrollment to address the varying developmental range in a kinder – 6th grade age group. If you have any questions, please email or give me a call: info@upgradehappy.com or 832-786-9299. Sessions will be Tuesday from 4:30 - 5:30pm and will be $100 for the Spring semester. 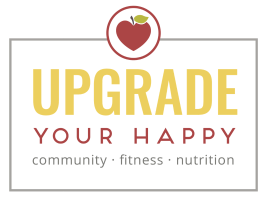 We expanded GOOFY into a not-for-profit company by the name of Upgrade Your Happy to support families in better living through community, fitness, and nutrition. Want to know a little about me? I am Devin Hunter. The head coach for GOOFY run and fitness clubs. I live in Garden Oaks and chose to start GOOFY in 2015 when trying to find a close club for my kids that was fun and fostered a life-long appreciation of running. What I found were clubs that required 3 days a week and were not any where near us. So voila, with another fellow fitness parent, GOOFY was born. I am a mother of three ages 10, 9, and 7. I have a degree in child development and am a former pre-school teacher. I am a runner, cyclist and now Triathlete. I have been participating in organized races for 15 years. I am entrepreneur and run a HR company as my primary job. To build on my love for family wellness and reducing childhood obesity, I am now a certified nutrition and wellness consultant and certified youth fitness instructor. I look forward to working with your kids and families this year.